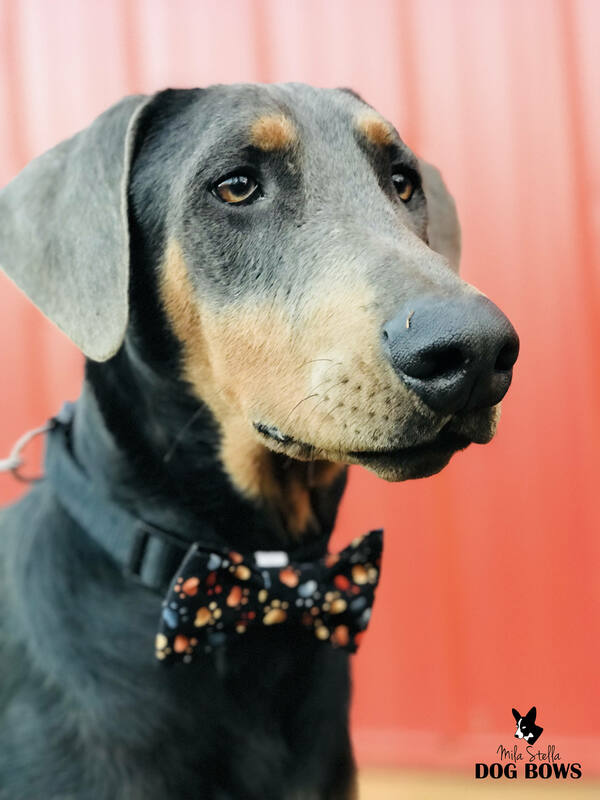 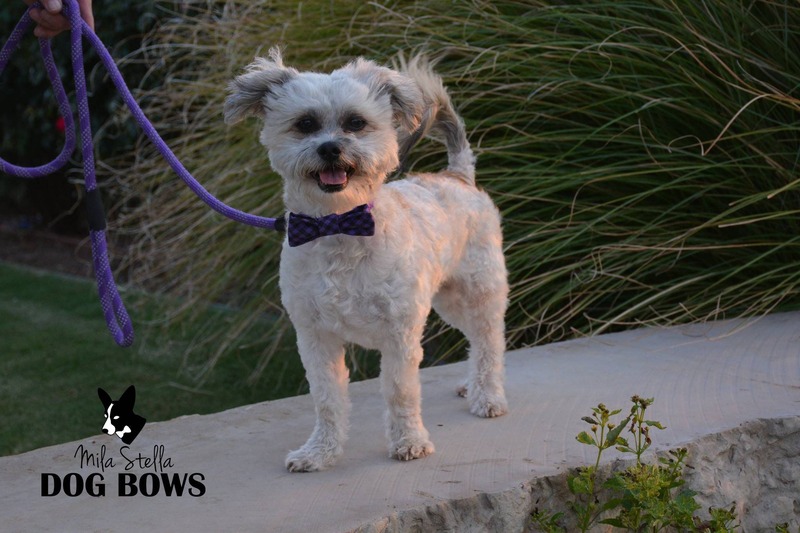 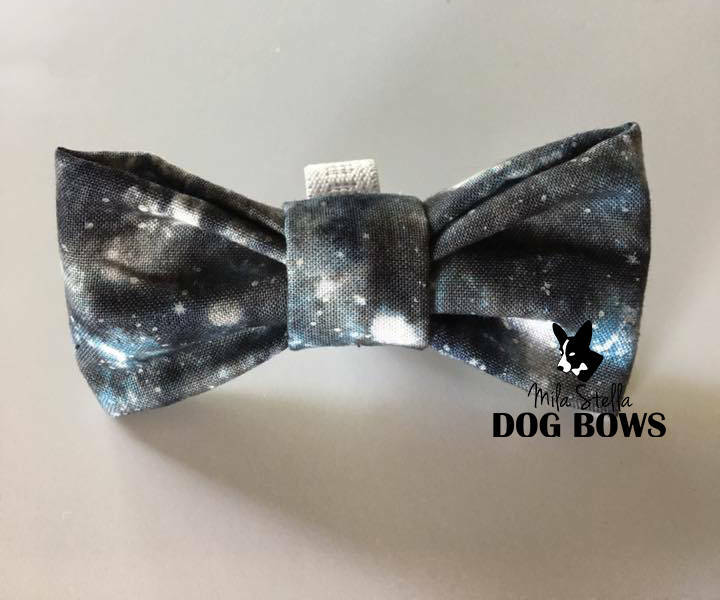 An out of this world celestial print dog bow or bow tie! 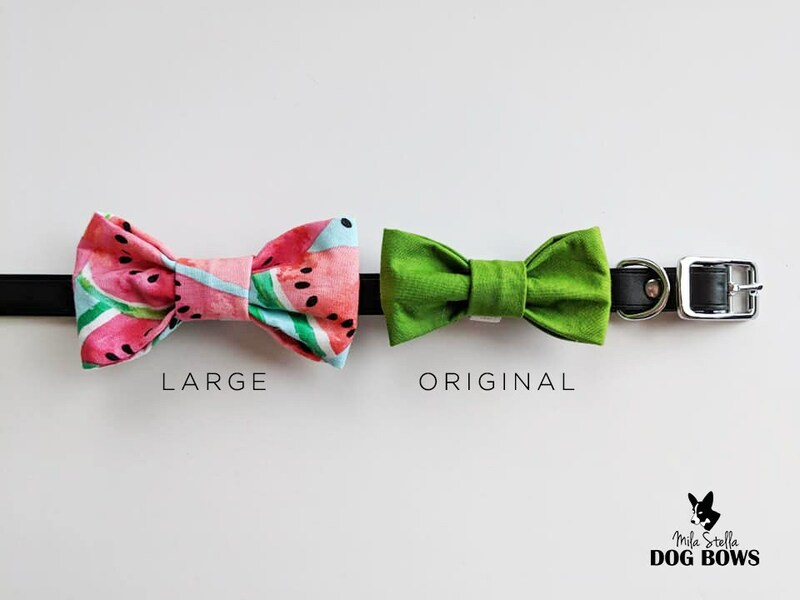 Simply slip on to your dog's collar! 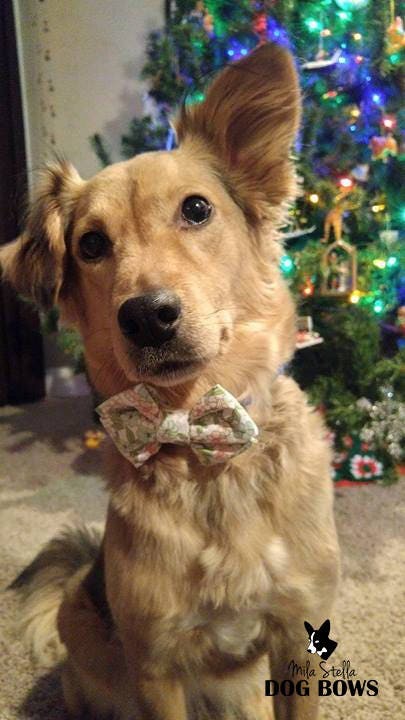 Select from elastic or velcro. 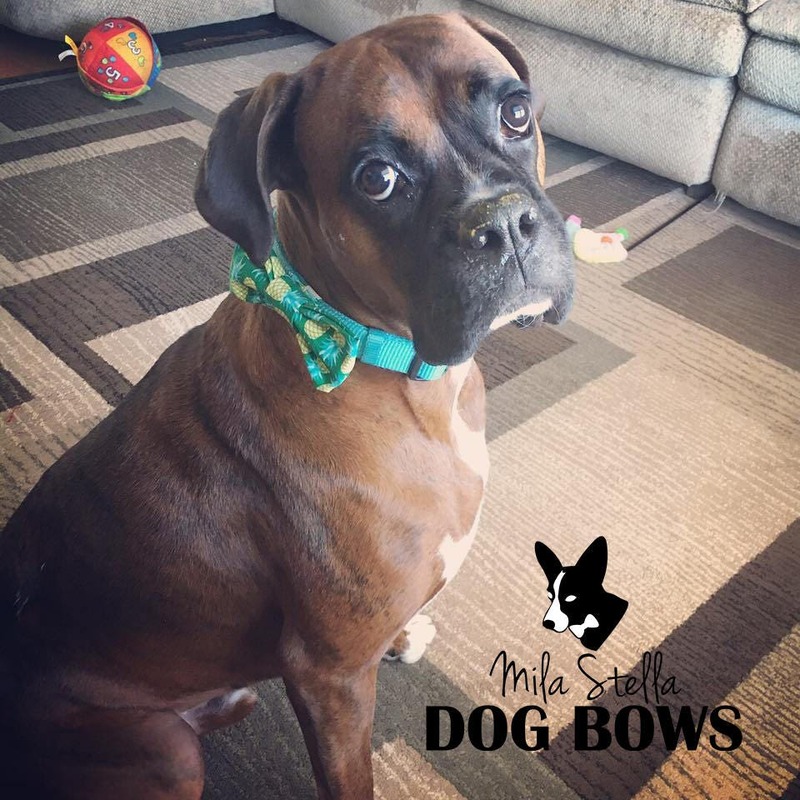 A soft flexible velcro is used with only the soft side against your pup's neck. 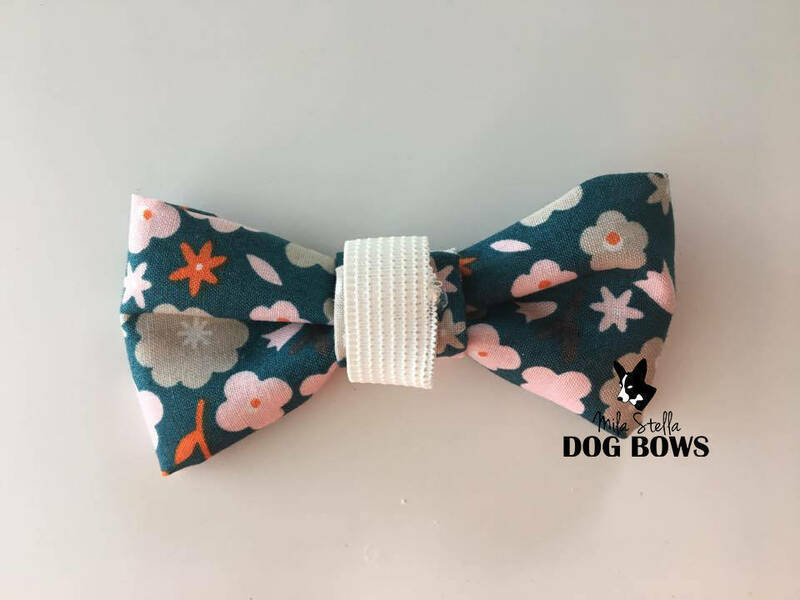 Approximate Dog Bow dimensions. 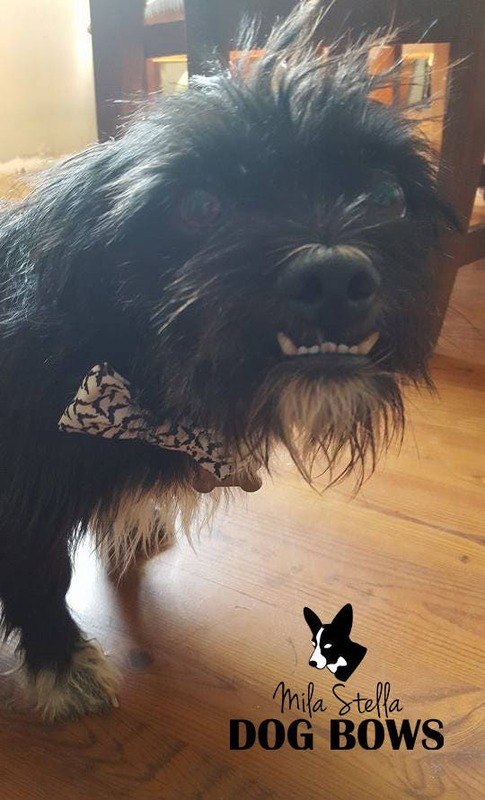 Please see the comparison image of the two sizes. 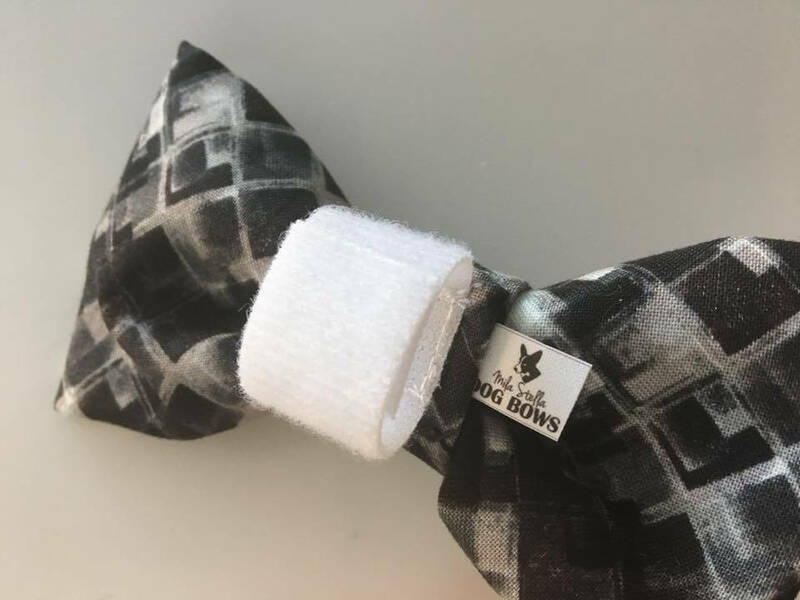 Please note: Bows are not toys and pets should be supervised while wearing.